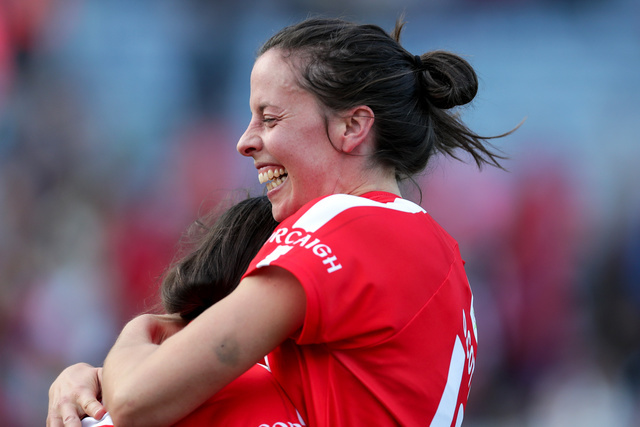 SELFLESSNESS is a common theme in most teams that win habitually and the Cork Camogie squad basking in the glow of being Liberty Insurance All-Ireland Senior Camogie champions this week cannot claim exclusivity on it. Indeed the outfit they defeated by an injury-time point for the second consecutive year possesses a number of players willing to take on the role asked of them, whether it is thankless, as was the case with Katie Power regularly battling three Cork defenders at full-forward, or it forces them to rein in their natural inclination to release the shackles, as has been the story for centre-back Anne Dalton in recent years, but who added to her phenomenal catalogue of excellence with another colossal showing. And they boast plenty of operators like Meighan Farrell, who as usual, put her nose to the grindstone, throwing herself into every ball, eschewing personal safety for the cause. It is a very prominent theme of the Cork set-up though. 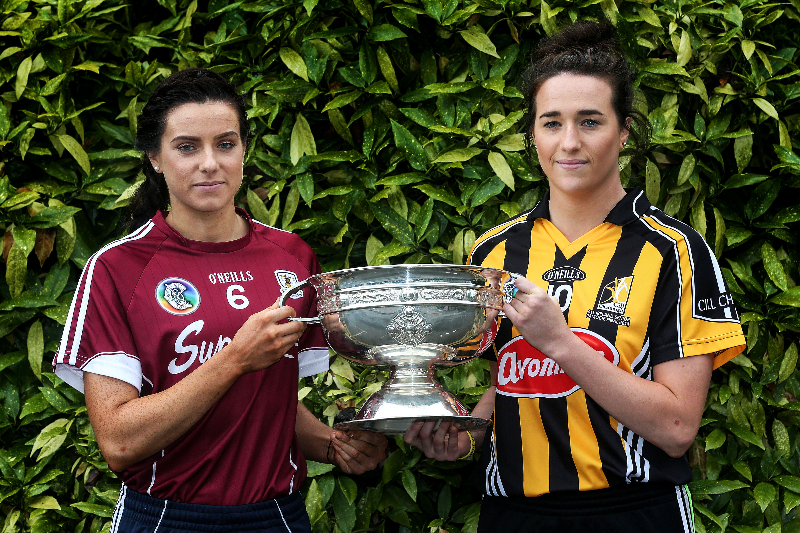 In conversation a couple of weeks ago, team coach Kevin Murray emphasised how important it was, and how he would never focus on his sister Aoife being captain and possibly lifting the O’Duffy Cup, which she did two days after her 35th birthday. Yes, this happening, with brothers Paudie (manager) and Damien (logistics) involved was nice for the family but it would always be about everyone involved striving to produce a better collective. In truth, Orla Cotter has lived this approach her entire career, happy to toil to make teammates look better than her. When Jenny O’Leary retired, the tall St Catherine’s player took over the placed ball duties and emerged from the shadows in which she had been more to operate as a result. The scoring returns went through the roof and this increased profile made us notice her general play more too: the classy touches, the workrate, the clever passing. 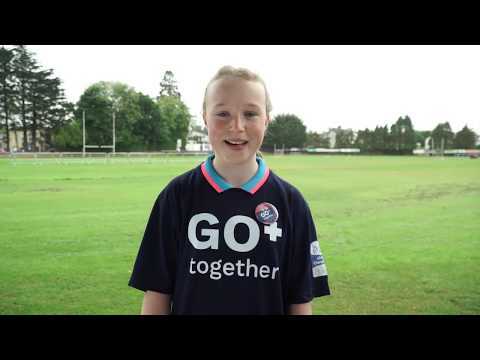 Remember that it was Cotter who gave the perfect stick pass to Gemma O’Connor for that outrageous equalising point in last year’s decider, with two seconds of regulation time remaining. She is one of the most accurate shooters in Camogie but that was the better ball. And what was lost in the controversy over whether or not she should have had the free from which she struck the winner from that left-hand side, close to 60m out, were to two roll lifts and in the same motion of each one, the spin away. It was sublime skill in the maelstrom of battle, bodies and hurleys crashing into one another. The only time she put herself first was when choosing to go on honeymoon after getting married to Mark in May. It was a dream trip that meant she missed training and the start of the Championship. In more than a decade as a Cork player, she had never been away despite as a teacher, having three months holidays. “You only, hopefully, get married once so we just said we’d do it” she said in an interview last month. Cotter was back in the fold by the time she celebrated her 30th birthday in July but there has been no slipping in standards. In truth, she looks to be getting better. Kevin Murray spoke a few weeks ago about the work he has done with Cotter, about not messing with the completely individual style she has, almost genuflecting as the left knee bends, left hand over right á la Joe Deane as a left-handed player that feels more comfortable striking off her right. He wanted to give her a process though, and ensure that it would hold up under mental and physical duress. “I generally try not to change their method but I what I try to do is make sure they have a routine” the coach explained. “I’ve worked a lot with Orla Cotter, down to timing, how long it takes her to take a free, or building up to taking a free from the minute we receive a free. We just put in routines that it’s very solid. If she goes past that routine, she’s smart enough to step away and reset again, it’s that sort of composure. “She has her own style and is very comfortable in that style and I’m not one for changing that – it’s very functional. It’s a unique style, is very effective, she has a routine and she’s very meticulous. I know who I’m dealing with. I can understand what Orla is like in the way she likes to set up. I just tweak a few things to get her more confident in what she’s doing. There are various stages to that, including making her take a couple of frees after a break in play in an eight v eight in-house training game, when her heartrate is up after an intense period of play. That work is done for moments like the 61st minute of an All-Ireland Final. Holding her niece Fia (who was intent on bringing the reporter’s Dictaphone home with her), Cotter was standing just a matter of feet away when from where she stood with the eyes of the Camogie world and many more on RTÉ television watching, sporting immortality on the line. “Please go over the bar!” exclaimed Cotter with that a laugh. The technique and routine had held up. Having missed what for her, was an easy opportunity earlier in the half – it stood out because it was actually a shock to learn that she isn’t a robot over a dead ball - you wonder if it preyed on her mind? It would horrify her to be claiming credit as the match winner, though it’s notable that Julia White responded similarly 12 months ago. Cotter had the class to think of Kilkenny too but most of all she thought of her fellow warriors. In a one-point game, every touch counts. “It could have gone anyway. It’s been the way with our battles with Kilkenny the last number of years. The League Final, last year’s All-Ireland, this year’s Final. Kilkenny are a superb team.